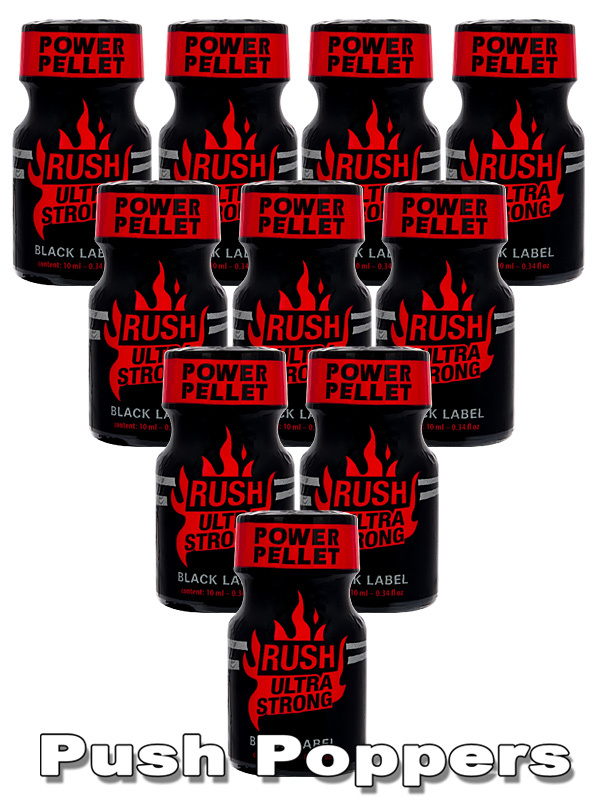 This Rush Ultra Strong - Black Label is ultra x ultra strong, means ultra strong². Not for Beginners! It combines two of the strongest formulars in one ultimate formular, that gets released extremely fast and lasts for an extremely long period of time. Additionally, it uses a Power Pack Pellet. This pellet reliably prevents the aroma from being contained by incoming air after first opening. This way, your small Rush Ultra Strong - Black Label stays fresh, clean and ultra strong² even longer. If you are looking for an ultra strong aroma, ideal to be divided over a long period of time with a persistent high quality of the aroma, Rush Ultra Strong - Black Label is the best choice. Our strongest poppers and the bestseller in this category.